Cancer. Whether you or someone you know has received this deadly diagnosis, one thing is true as you prepare for battle: You are not alone. 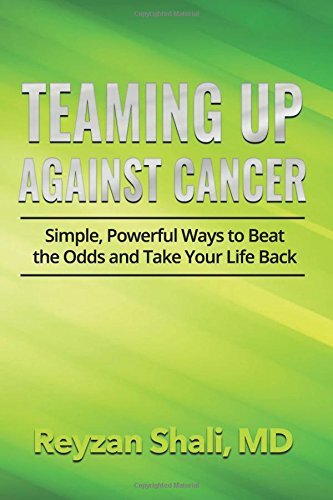 In Teaming Up against Cancer, board-certified internal medicine specialist Dr. Reyzan Shali shows you how to: · Take back your life as you receive treatment · Protect yourself from dangerous misconceptions · Recover from cancer faster · Prevent cancer before it strikes You can reclaim your health and your future. Join the team against cancer—and put the odds of recovery back in your hands. Dr. Reyzan Shali is on a mission to help as many cancer patients and their loved ones as possible. As a primary care physician board certified in internal medicine, she has made strong connections with thousands of patients over the years. She feels a particular affinity with her oncology patients, especially because of her unique background that put her on the path toward cancer care. Dr. Shali’s journey began many years ago when she lost her father to cancer. That devastating event led to her lifelong goal of helping as many families and individuals as she can to improve their odds against this illness. Born in Iraq, Dr. Shali has maintained a steady refusal to live a life defined by a society that minimizes women, which has helped her challenge boundaries along the way. That journey led her to a successful practice in Southern California, where many of her patients have become friends. In connecting with people by speaking from her heart, the idea of this book was born. Her mother was also struck by cancer, which has increased Dr. Shali’s determination to pursue her mission all the more. Dr. Shali is a member of the American Medical Association (AMA) and the American College of Physicians (ACP). She writes articles for local newspapers and magazines and has been featured in The North County Times. She lives in Carlsbad, California, with her husband, Rastgo, and their two sons, Kawan and Kurdo.